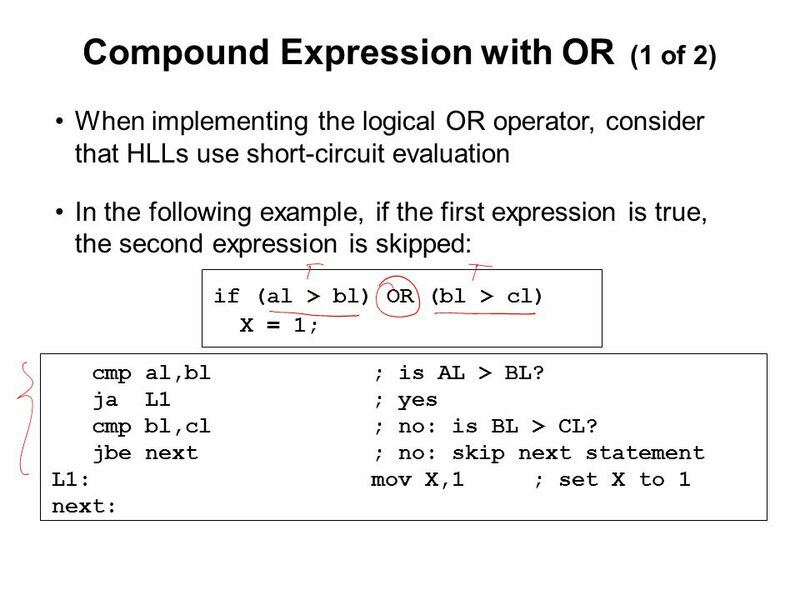 CSC 221 Computer Organization and Assembly Language Lecture 21: Conditional and Block Structures: Assembly Programs. 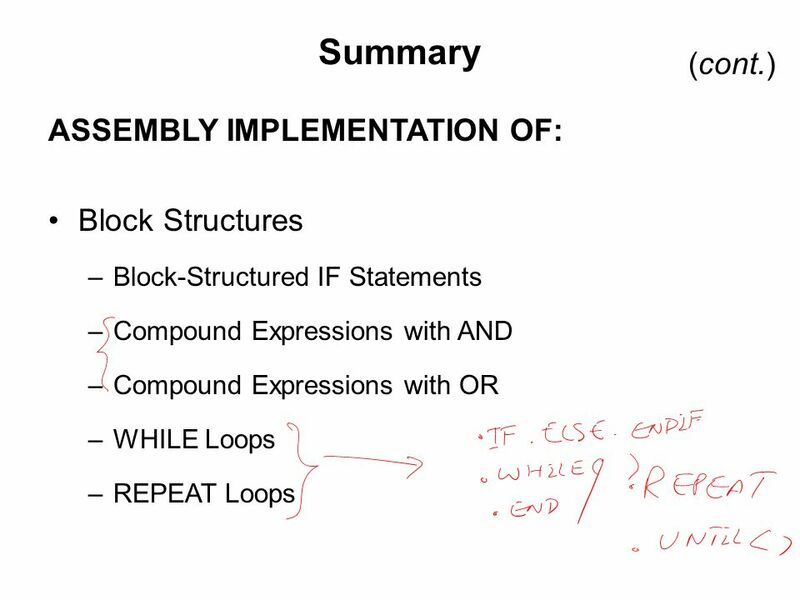 16 Reference Most of the Slides are taken from Presentation: Chapter 6 Assembly Language for Intel-Based Computers, 4 th Edition Kip R. Irvine (c) Pearson Education, 2002. All rights reserved. 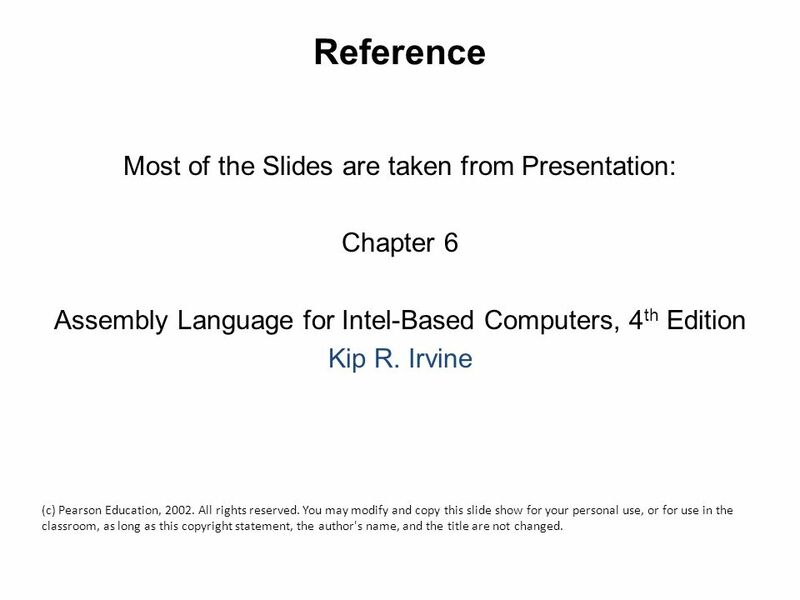 You may modify and copy this slide show for your personal use, or for use in the classroom, as long as this copyright statement, the author's name, and the title are not changed. 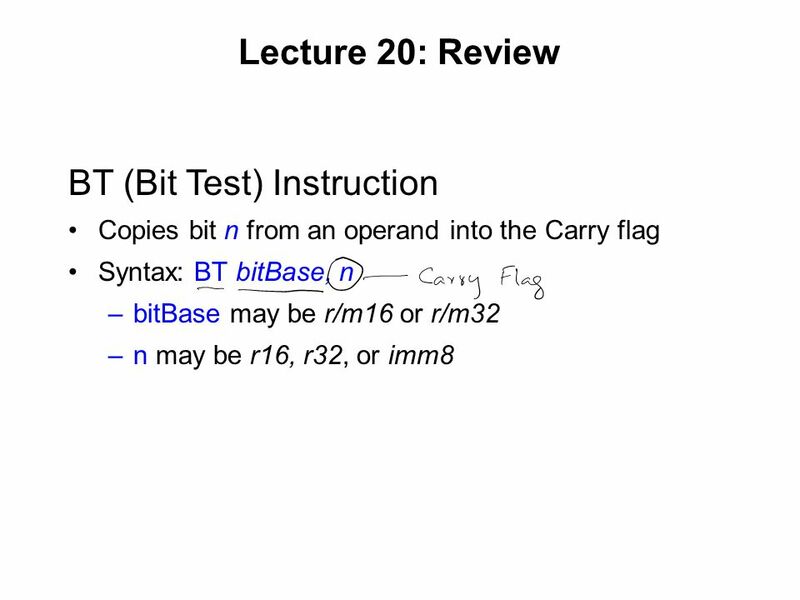 Download ppt "CSC 221 Computer Organization and Assembly Language Lecture 21: Conditional and Block Structures: Assembly Programs." 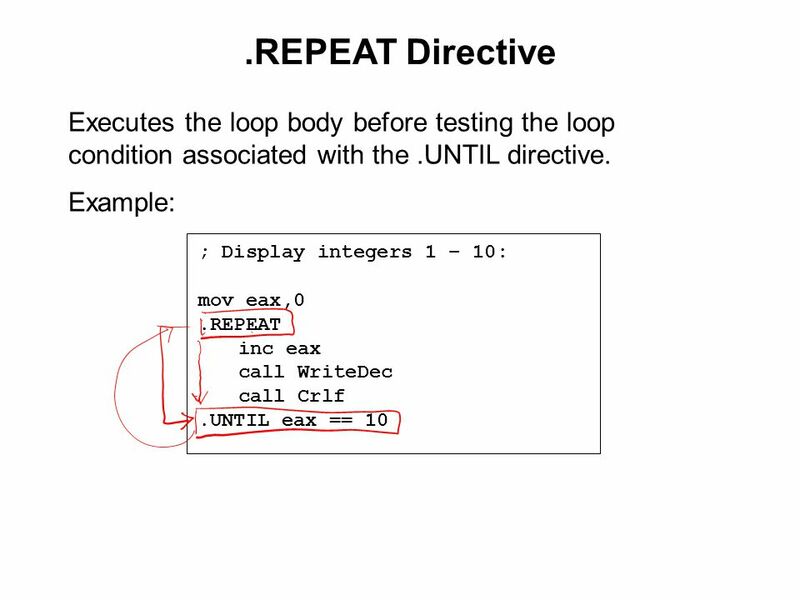 Flow of Control Instruction/Control structure Looping structure Looping structure Branching structure Branching structure For assembly language program. 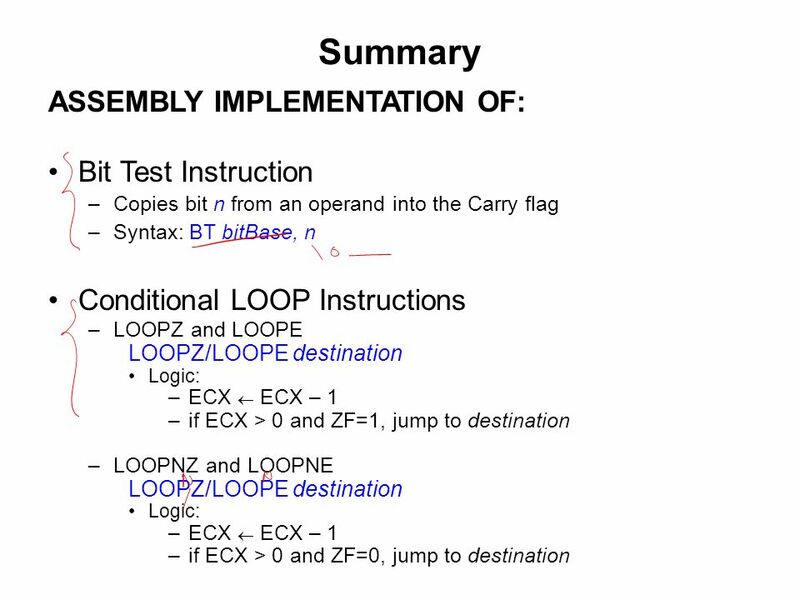 Assembly Language for x86 Processors 6 th Edition Chapter 1: Introduction to ASM (c) Pearson Education, All rights reserved. You may modify and copy. 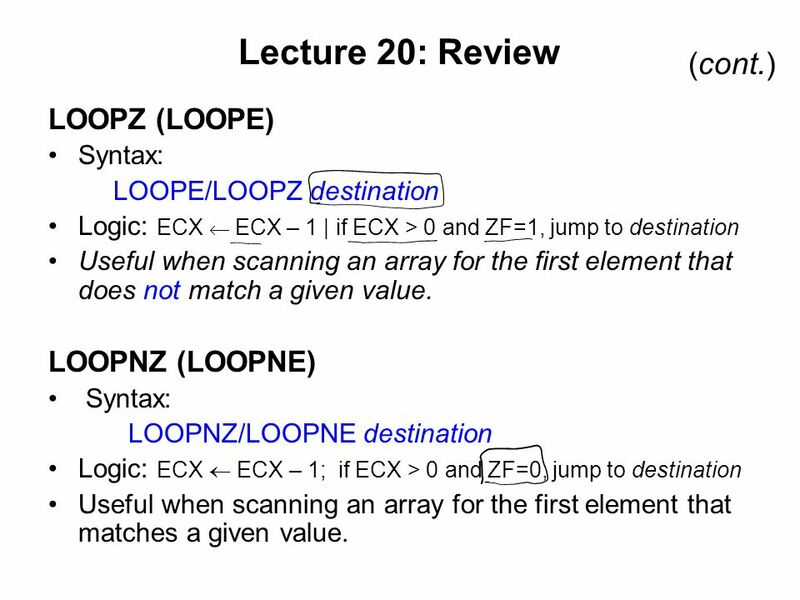 Assembly Language for x86 Processors 6th Edition Chapter 5: Procedures (c) Pearson Education, All rights reserved. 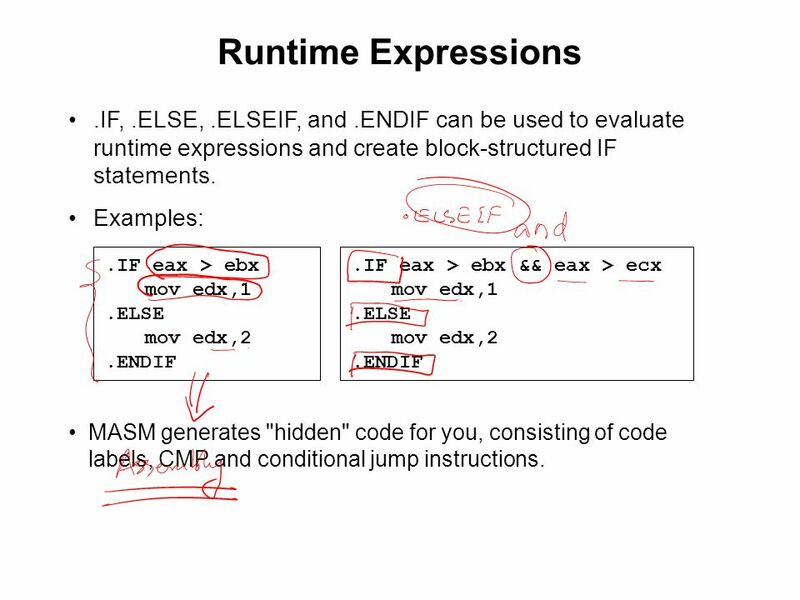 You may modify and copy this slide. 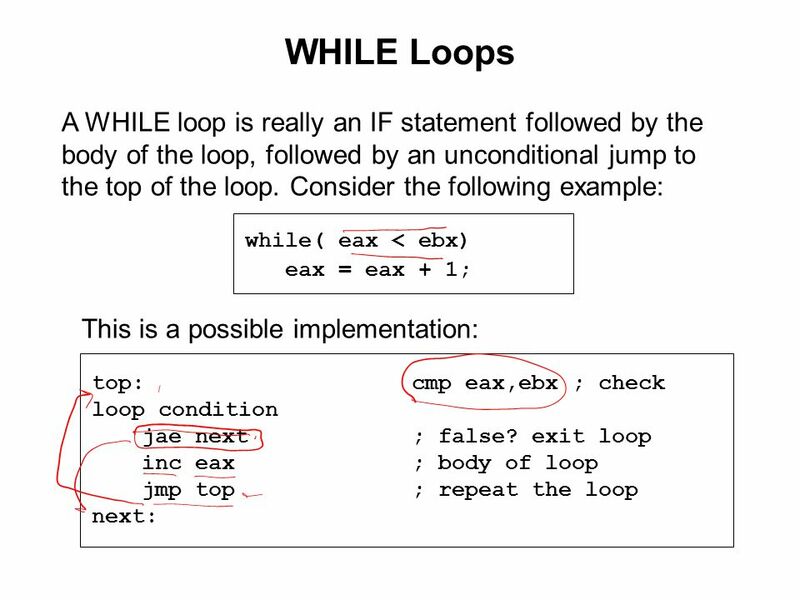 Web siteWeb site ExamplesExamples Irvine, Kip R. Assembly Language for Intel-Based Computers, Conditional Loop Instructions LOOPZ and LOOPE LOOPNZ. 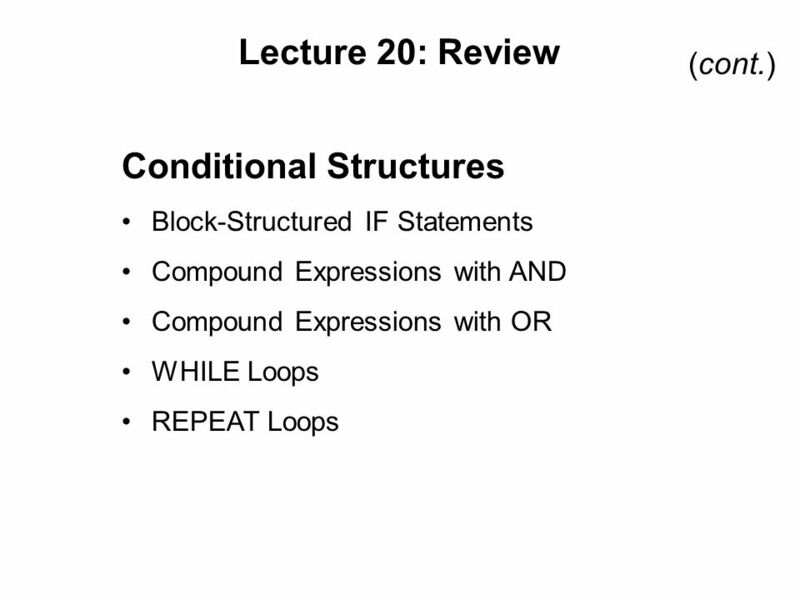 Assembly Language for Intel-Based Computers, 4 th Edition Chapter 6: Conditional Processing (c) Pearson Education, All rights reserved. 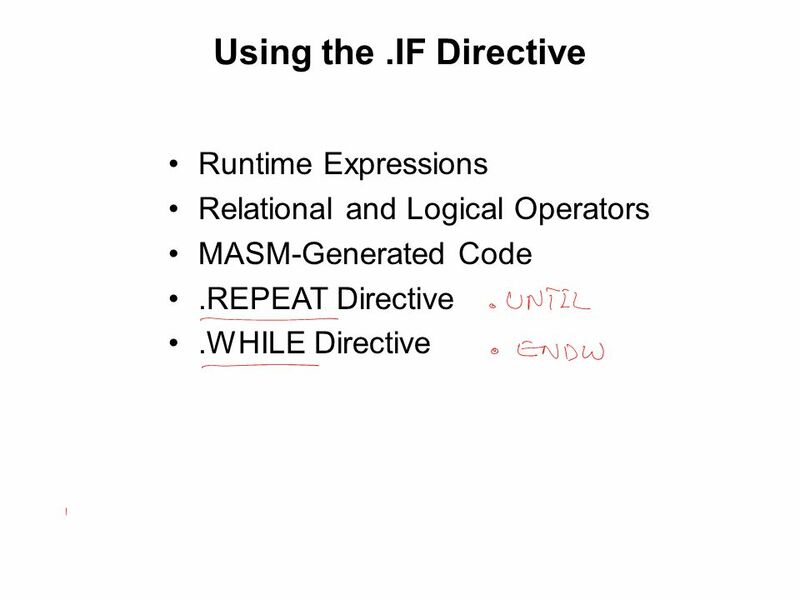 You may modify. 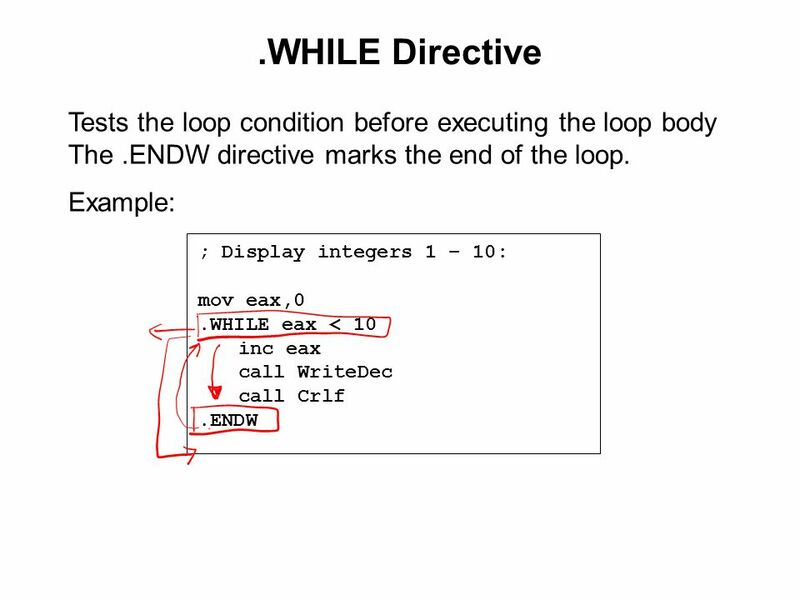 Assembly Language for Intel-Based Computers Chapter 5: Procedures Kip R. Irvine. 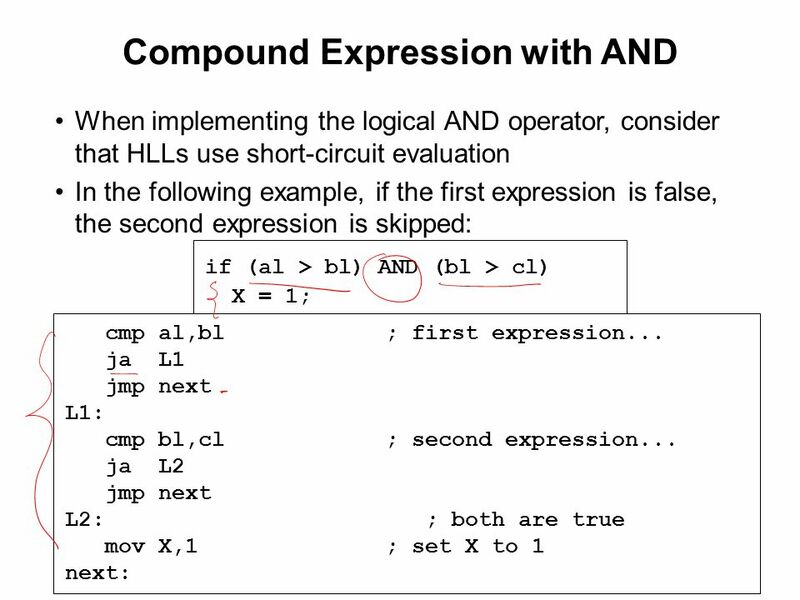 Assembly Language for Intel-Based Computers, 5 th Edition Chapter 6: Conditional Processing (c) Pearson Education, All rights reserved. You. 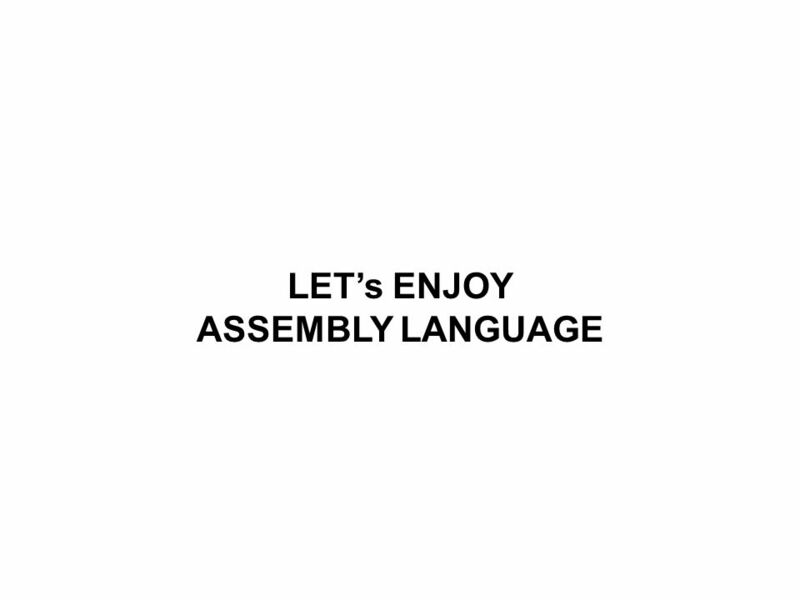 CS2422 Assembly Language & System Programming October 17, 2006. 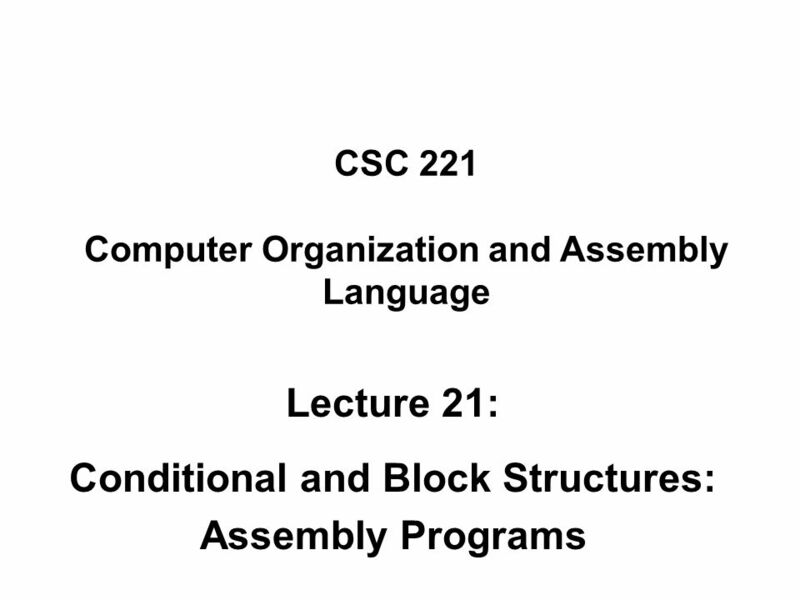 CS2422 Assembly Language and System Programming Conditional Processing Department of Computer Science National Tsing Hua University. 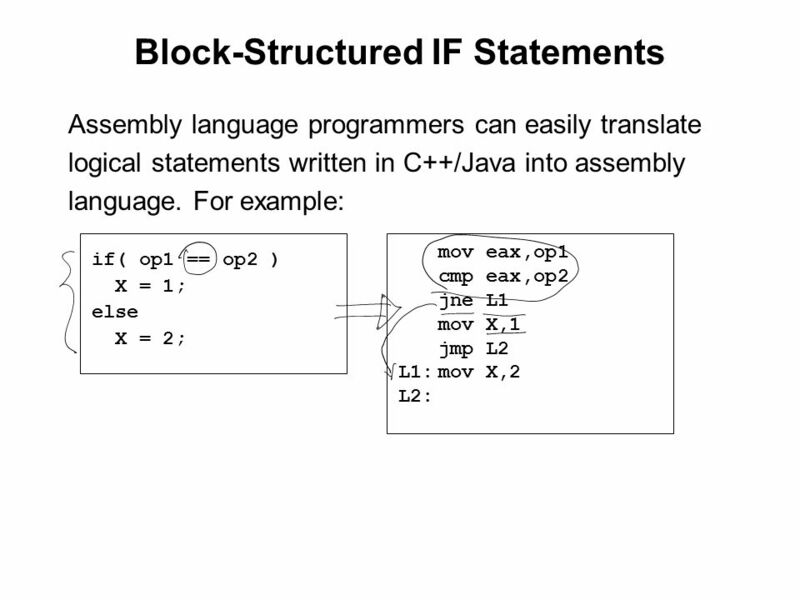 Assembly Language for Intel-Based Computers, 4 th Edition Chapter 5: Procedures (c) Pearson Education, All rights reserved. You may modify and copy.